The Dynasty Guru Podcast Episode 3 is live. Listen below, subscribe on iTunes or stream here. 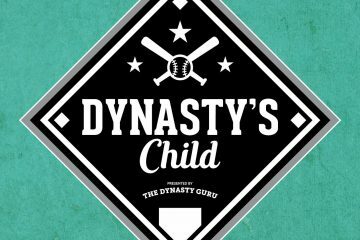 – Tom Trudeau, Nick Doran, and Tyler Baber discuss the consensus third base consensus rankings from the TheDynastyGuru.com. Will one of Anthony Rendon, Alex Bregman, or Kyle Seager jump up to the same tier as Josh Donaldson? Vets vs Youth: Justin Turner and Adrian Beltre or Jose Ramirez, Nick Castellanos and Maikel Franco? As always, TDG is a free site and survives thanks to contributions by readers (and listeners!) like you. You can donate that through this link, or by clicking the “Donate” button on the top-right corner of the homepage. If you like the content, please take the time to donate. And thank you to those of you who already have! Tyler loves to overthink strategies, nerds out over dynasty league constitutions, and is an advocate for weird formats.